This page is for the 2018 game. For the 2002 game, see Hitman 2: Silent Assassin. Owners of Hitman will automatically receive an appropriate "Legacy Pack" containing content from the previous game. All versions require Steam DRM. Denuvo Anti-Tamper DRM was removed on the 30th of January, 2019. The prologue and first mission of the game is available for free on Steam. Owners of an applicable version of the previous game will also be able to access Legacy locations through this version of the game. This is the complete legacy pack, containing the base legacy pack in addition to the Patient Zero campaign, GOTY suits and three GOTY Escalation Contracts. This pack is available for purchase, but is also automatically redeemed for Hitman owners of the Game of the Year Edition (or have upgraded to the GOTY Edition) or the Definitive Edition. This is an upgrade pack for owners of the base legacy pack that grants them the additional contents of the GOTY Legacy Pack. This is the base legacy pack containing all locations and campaign missions of Hitman. 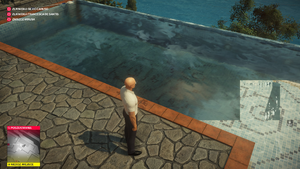 This pack is not available for purchase but is automatically redeemed for Hitman owners of The Full Experience, The Complete First Season, or all seven episodes individually, see Hitman Legacy Pack FAQ. Season pass; grants access to Expansion Pack 1 and 2. Adds a new location and mission. Adds an additional pistol and briefcase. Standalone version of the 'Sniper Assassin' game mode of Hitman 2, made available as an early access pre-order bonus. This separate digital download was removed and made unplayable following the early access release of the game on November 8, 2018. Includes the Expansion Pack 1 and Executive Pack DLC. Granted early access to a standalone version of the 'Sniper Assassin' game mode as a pre-order bonus. Includes the Expansion Pass (Expansion Pack 1 and 2) and Executive Pack DLC. Granted early access to the game on November 8, 2018. FOV in-game and for menus are auto-adjusted (Hor+) when using ultra-widescreen resolutions, however some minor UI elements (splash screen background, intro movies) are filled to the screen (Vert-). Labeled Fullscreen in the options. 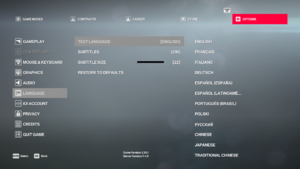 Up to 2.0x SSAA, in addition to SMAA T1x, which cannot be disabled. 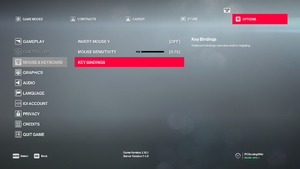 General keyboard and mouse settings. V2. Wired, and Wireless Adapter. Regular Bluetooth does not work. 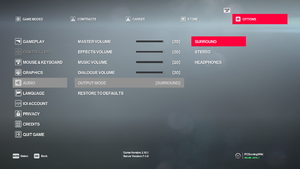 On-screen prompts for keyboard/mouse input takes precedence over controller button prompts. Keyboard and mouse key bindings. Can also manually invite a player. See Helix Mod: Hitman 2 (DX11). The best way to report game issues to the developers is via the game's official bug report thread. The following bugs were originally reported for the pre-launch version of the game included with the Gold Edition. Download the GeForce 416.34 WHQL driver. Install the driver downloaded in Step 1 using the Clean Install option. 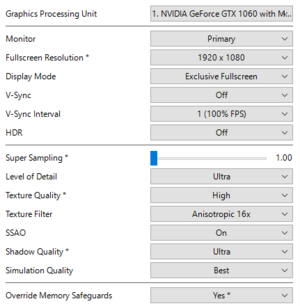 This fix has only been tested on a GeForce RTX 2080 Ti and Windows 10 RC5. Steam permits the user to play the game when ~35 GB have been downloaded, even though it still needs to download an additional 25 GB, and another 45 GB if a user bought the Legacy DLC. Users report that bodies of water in Season 1 (Legacy Pack) levels do not render correctly. Fixed for Nvidia users in driver version 416.94. 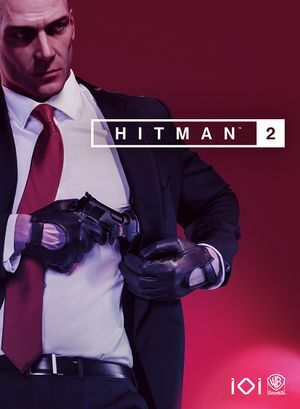 Anti-virus' web security may block a secure connection to the Hitman 2 servers. Open the Hitman 2 Launcher and enable Override Memory Safeguards option, close the launcher. Open the registry editor by pressing START in Windows and typing regedit. Edit Supersampling to 500 from 1000. Editing supersampling from 1000 to 500 will make the game blurry. Recommended to be used with a resolution that allows readable HUD, for example 1280x720 or 1920x1080, but never use supersampling and low game resolution like 640x480, 800x600, 1024x768 unless you are desperate, as it will make the game an unreadable mess. ↑ 1.0 1.1 File/folder structure within this directory reflects the path(s) listed for Windows and/or Steam game data (use Wine regedit to access Windows registry paths). Games with Steam Cloud support may store data in ~/.steam/steam/userdata/<user-id>/863550/ in addition to or instead of this directory. The app ID (863550) may differ in some cases. Treat backslashes as forward slashes. See the glossary page for details. Verified by setting everything to lowest at 1440p and anti-aliasing was still enabled. There's a reg key "AntiAliasing" but this had no effect when set to 0. 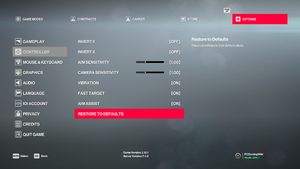 "Gone is the ability to determine your anti-aliasing technique, with SMAA T1x enforced throughout instead." "you can start playing the game when you have 35gb downloaded, the full game is 60, and another 45 for legacy"
"it stuttred for the first 2 hours while it was downloading, its smooth now 90 fps, everthing set to ultra at 2560x1440"
"Colorado has similarly buggy water to Hokkaido." Verified using a RenderDoc capture of an affected scene. Without the latest driver's optimizations, the issue persists; with the latest driver's optimizations, the issue is resolved. This page was last edited on 5 April 2019, at 17:31.